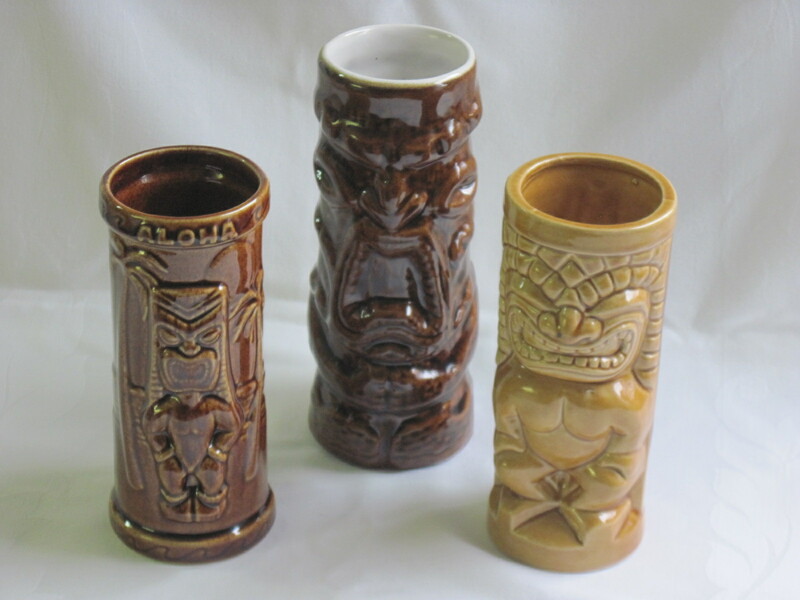 Tiki mugs are tall ceramic mugs that had their origin in mid-century American tiki bars and tropical themed restaurants, believed to have been pioneered by Don the Beachcomber which was one of the first Hawaiian/ Polynesian inspired tropical restaurants in the US, started by Donn Beach in California during the 1950’s. 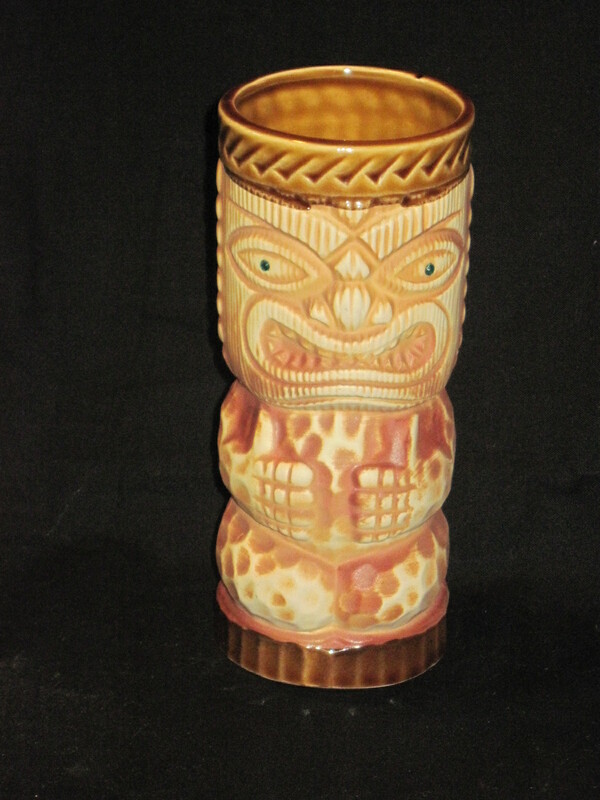 Fruit laden cocktails were served in these ceramic drinking vessels that were known as Tiki mugs. The term ‘Tiki’ describes any item that has a tropical, surf, Polynesian, Melanesian or similar imagery on them. I have had ones with Hawaiin Gods, Wahini’s, Surfers, Faces with Fu Manchu mustaches, Hula Girls and various others. 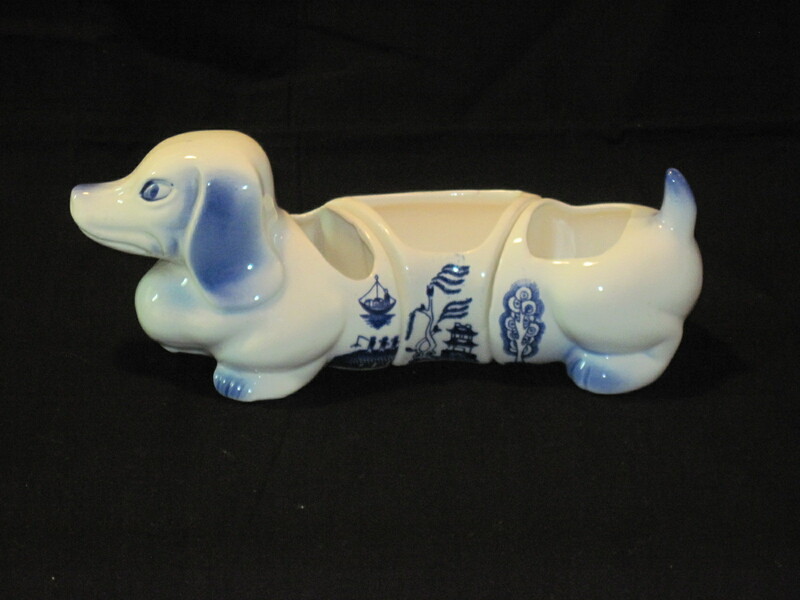 Some are made by Orchids of Hawaii which started production in the early 1960’s and continued until 1991 when they went out f business and sold their molds to Dynasty Wholesale. 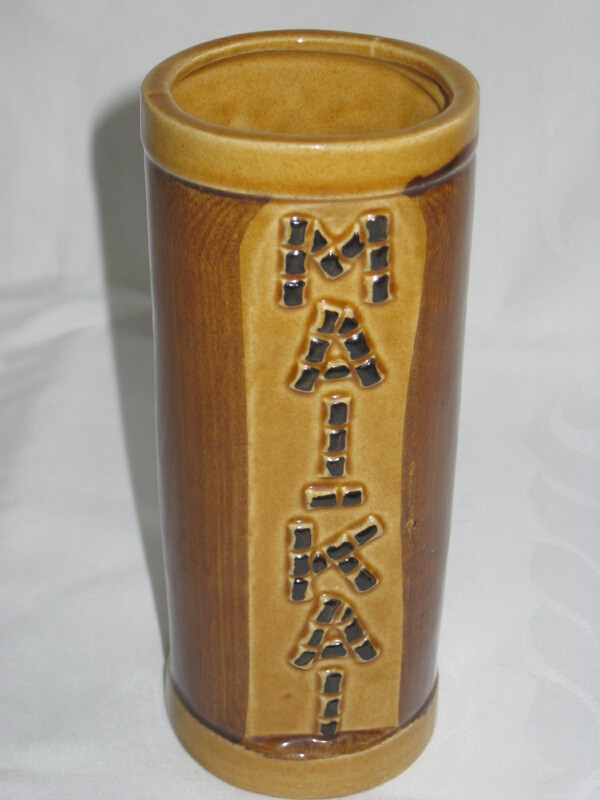 Most of the tiki mugs were manufactured in Japan and later in Taiwan or China. 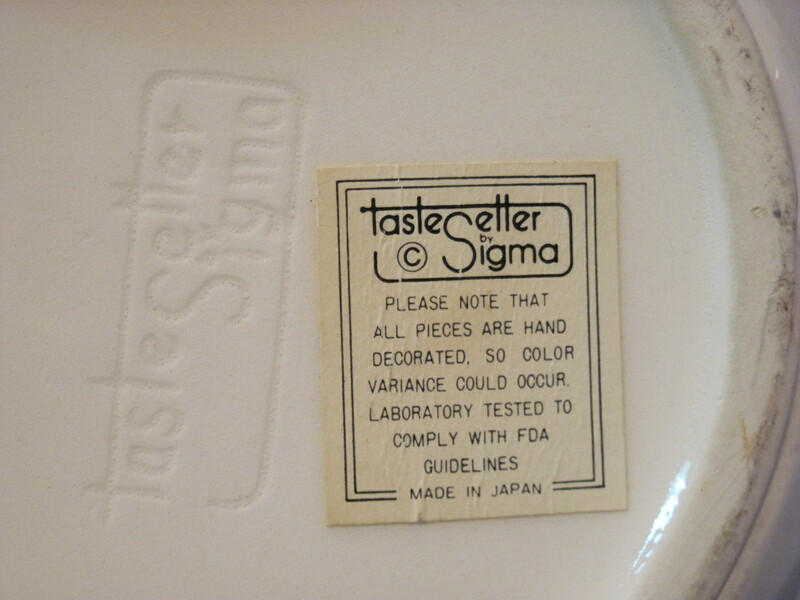 The ones made in Japan are the most desirable and the earliest. Most of the Orchids of Hawaii mugs have catalogue numbers on the bottom. The Mai-Kai mug in the above photo is from a restaurant in Fort Lauderdale Florida that opened in Dec 1956 and is still in operation today. It is the last restaurant/bar in existence to serve the original drink recipes of Don The Beachcomer’s. These mugs are for sale in my booth at the Almonte Antique Market, 26 Mill St, Almonte ON, just 30 minutes west of Ottawa. The market is home to over 50 different vendors and is open 7 days a week, 10am to 5pm all year round. The mugs are priced at between $8 and $12 each depending on rarity. 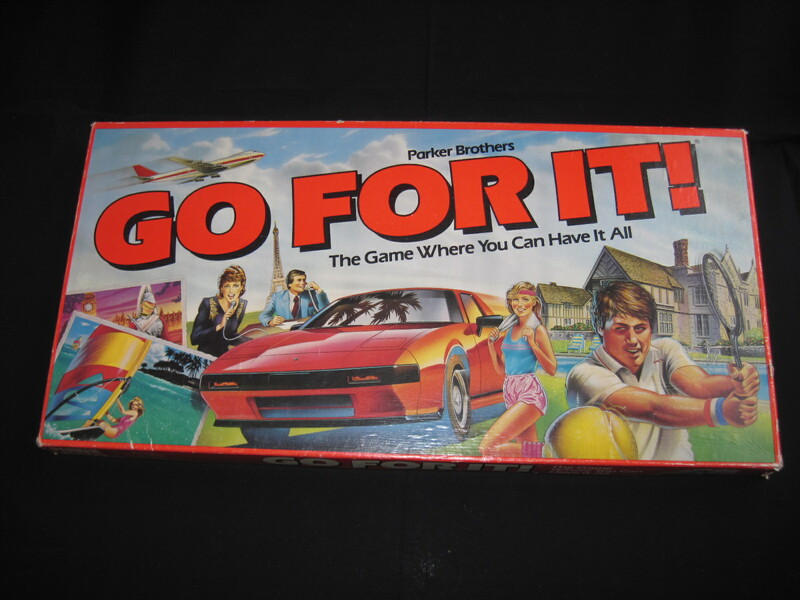 Boardgame ‘Go For It’ 1980’s by Parker Bros.
Board game with very 1980’s looking art work on the cover. 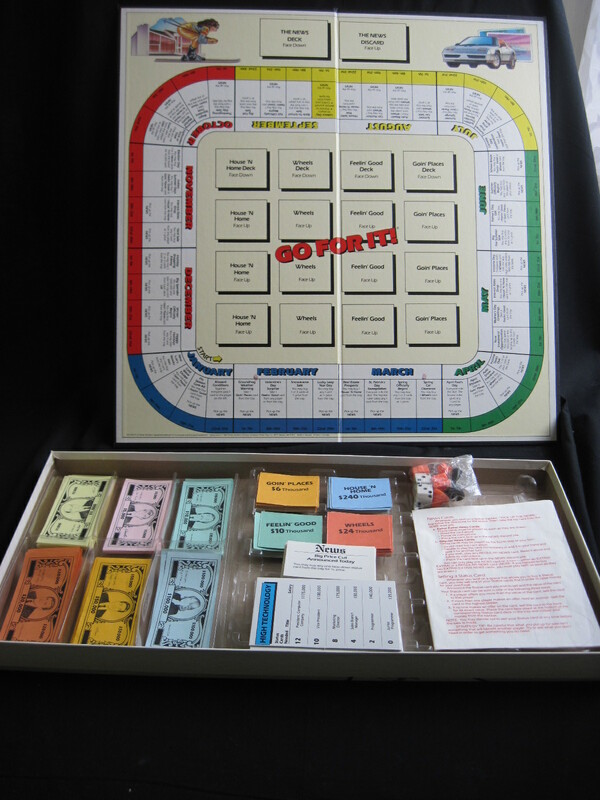 Manufactured by Parker Bros in 1986. It is a game about acquisition of status and luxury items. The one who acquires the most of these items is the winner. 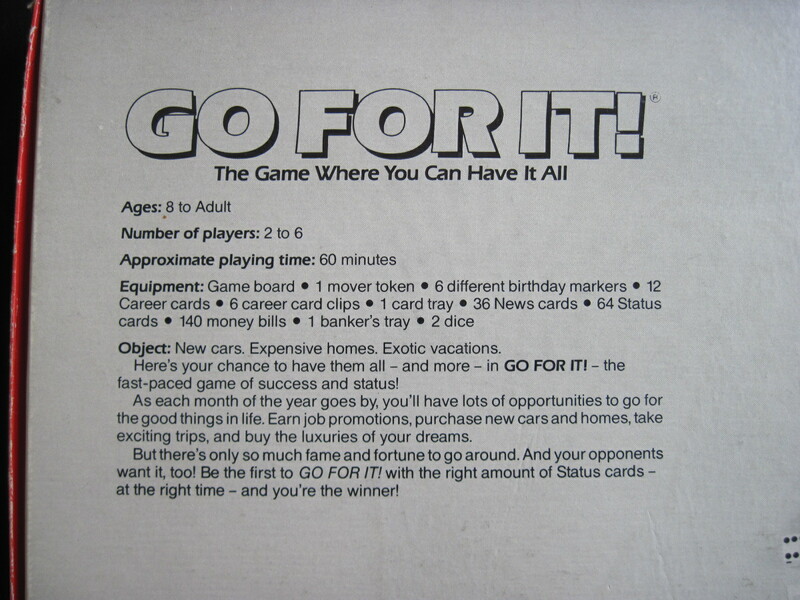 It is advertised as ‘the game where you can have it all’. The box is in pretty good condition. All the pieces are intact and do not look used. This game can be found at my booth at the Almonte Antique Market, 26 Mills Street, Almonte, ON just 30 minutes west of Ottawa. 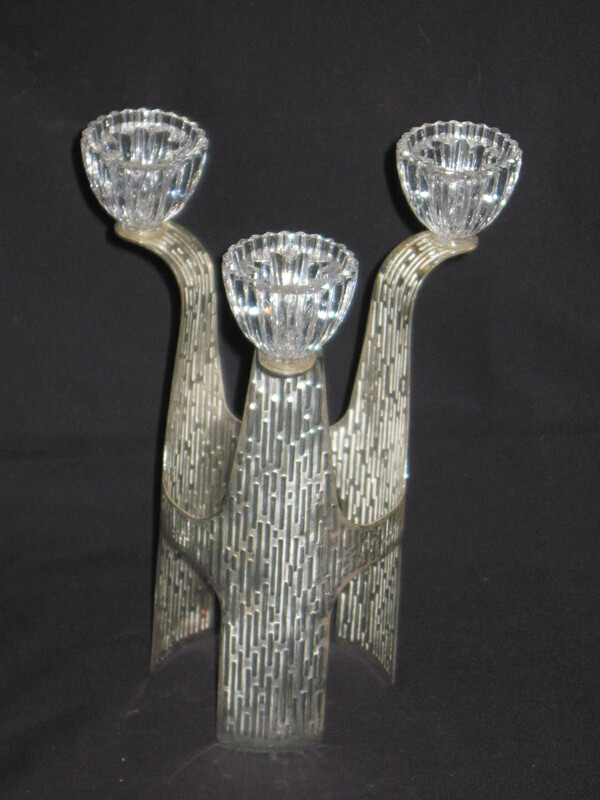 Two lovely crystal candle holders by J. G. Durand. The tallest one is 6 1/4″ tall and the other one is 4 1/8″ tall. The diameter is 1 3/4″. 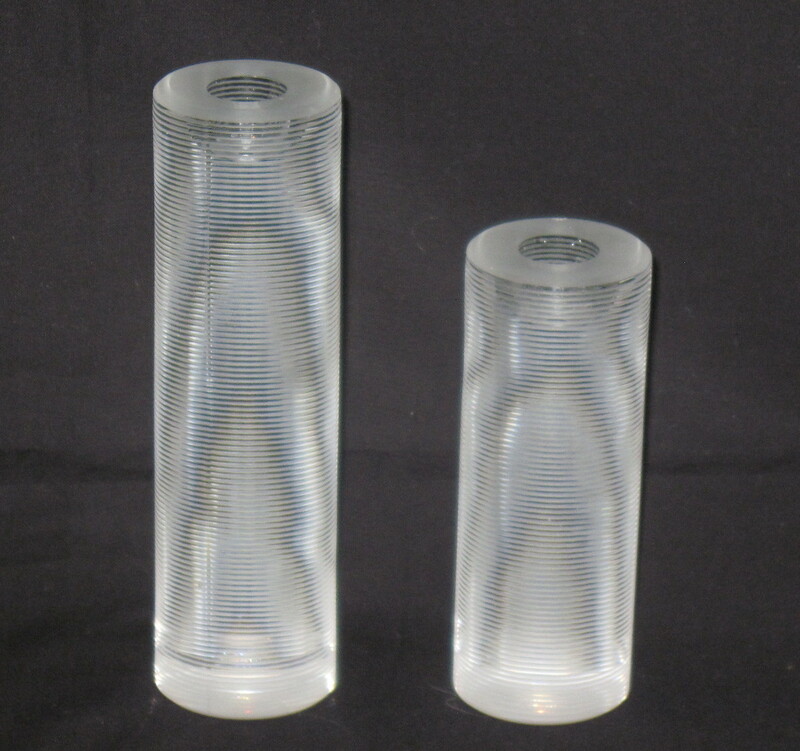 They are finely ribbed horizontally and are made of solid glass therefore quite heavy. The smaller one has a very minor nick on the top edge which is barely visible. J.G. Durand falls under the Arc International Group from Northern France. Brands under the Arc group include its own Luminarc (launched in 1948), Arcoroc (launched in 1963 for use in restaurant industry), Cristal d’Arques (launched in Europe in 1968), Longchamps (launched in the US in 1968), Salviati (acquired in Italy in 1999), Pyrex (under license in Europe from World Kitchen since 2005) and the fine crystal brand J. G. Durand. Mikasa Inc.(originally purchased by Arc from founder George Aratani in 2000) was sold by the firm to Lifetime Brands in 2008 for an undisclosed amount. These candle holders can be found at my booth at the Almonte Antique Market, 26 Mills Street, Almonte, ON just 30 minutes west of Ottawa. These are priced at $25 for the pair. 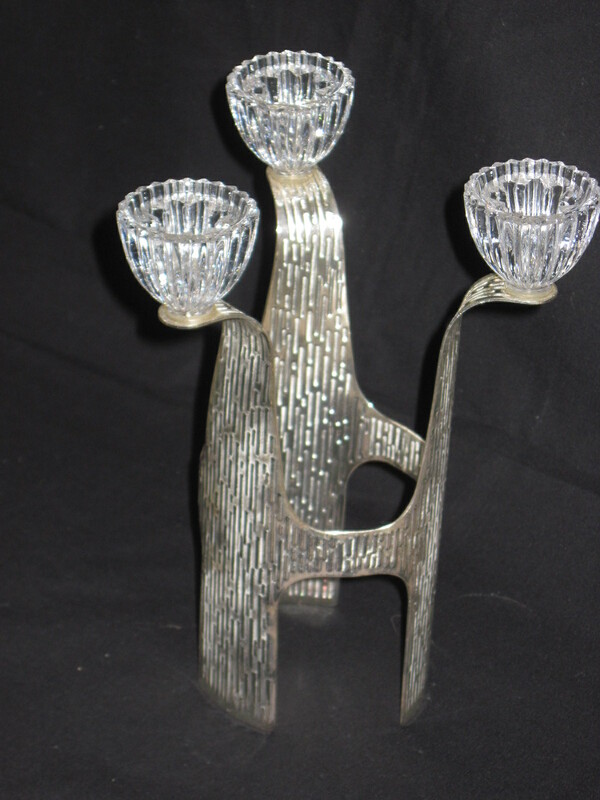 Please note these candle holders are now SOLD!! 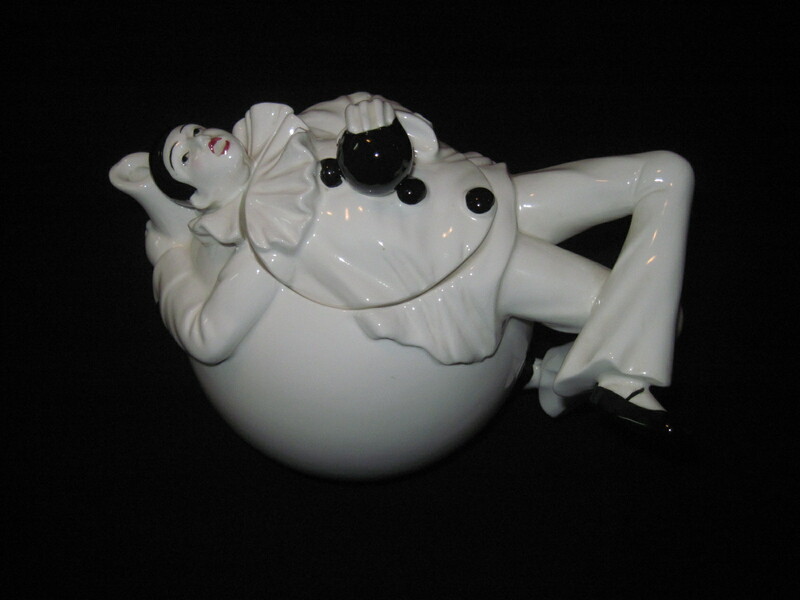 I have no idea who made this compote. 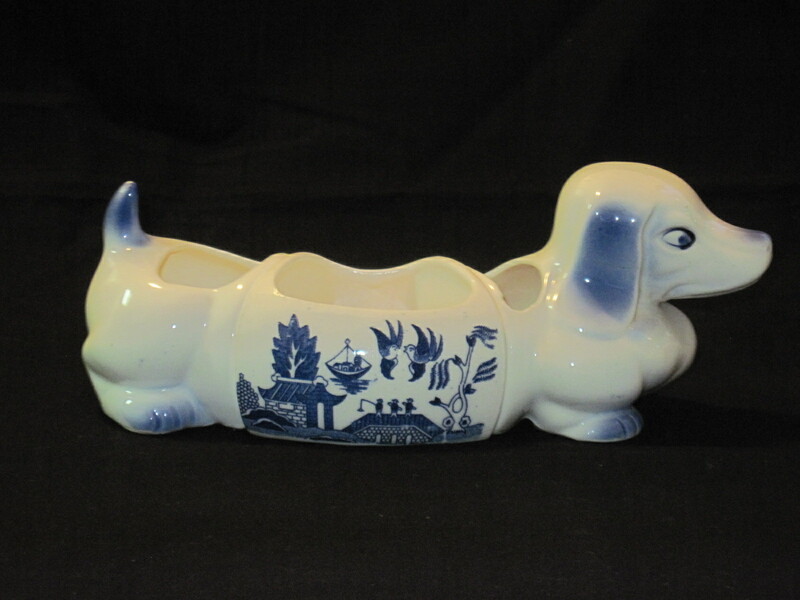 It is a substantial piece, big enough to comfortably hold fruits or buns. No markings on the bottom to go by either. 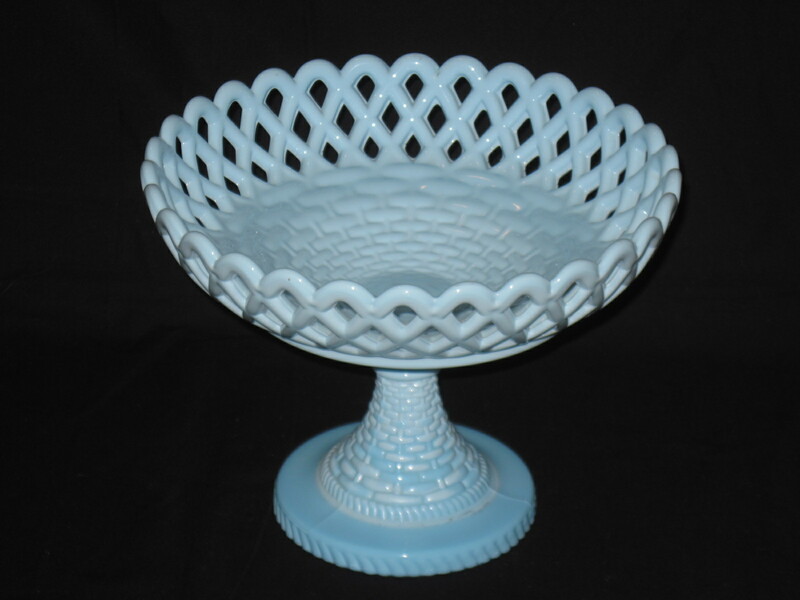 Lovely blue shade similar to Fenton’s turquoise milk glass and to some pieces of Westmoreland glass. The glass is opaque and the bowl is quite heavy. 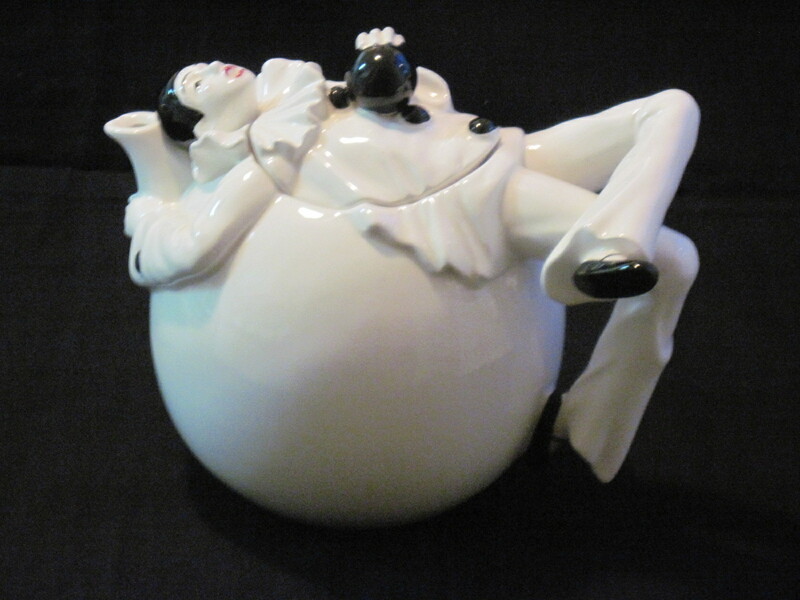 To find this and other ‘fab finds’ please visit my booth at the Almonte Antique Market, 26 Mill Street, Almonte ON. Open 7 days a week all year round except Christmas Day. Please note that I do not ship items.